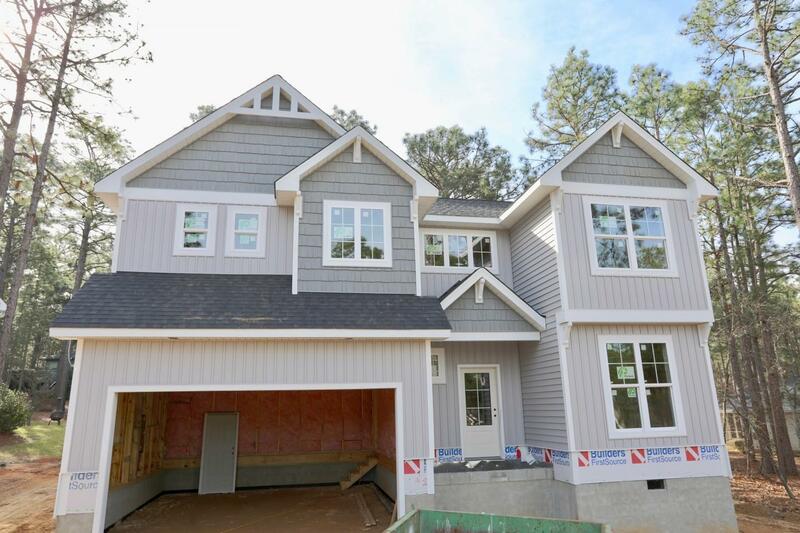 Superb NEW CONSTRUCTION HOME in one of Pinehurst #'6's quietest neighborhoods! The 2nd floor master is 'magazine worthy' with size & extras beyond compare! The home is situated high on a plateau overlooking a cul de sac with two distinct living environments on each level. Character, ambience and charm separate this home and location from so many of the new builds at similar prices in newly developed neighborhoods. Ready in 60 days, but still time to preselect flooring, tile & paint (thru 4/4/19). Plumbing lighting until 4/15.